Crash Test Dummies are best known for their 1993 worldwide hit “Mmm Mmm Mmm Mmm,” yet the Canadian band put out six more albums after that before going on hiatus in 2005. CTD is back this week with Oooh La La (Deep Fried) but in a brand new incarnation. Mainman Brad Roberts (now based in New York City) wrote and recorded the album with producer/engineer Stewart Lerman (Antony And The Johnsons, Marshall Crenshaw, Roches) using ’70s musical toys such as the Optigan for the majority of the LP. (The two were joined on Oooh La La by longtime CTD backing vocalist Ellen Reid.) The result is the happiest-sounding record of Roberts’ two-decade career. MAGNET caught up with him as he was rehearsing for CTD’s current tour. Roberts will be guest editing magnetmagazine.com all week. MAGNET What did you do during your five-year writing hiatus? Roberts: During this period, I read hundreds of books, I started incorporating serious physical exercise into my routine, I tried and failed at voiceover work, and I ran a songwriting summer camp for kids. I also got into baking bread and cooking more at home, generally. I really just wanted to live a normal life for a while. By “normal,” I mean not living out of a suitcase. Where did your fascination with vintage toys come from? I was once paired off with another writer who had an Optigan. It was love at first sight. That was at least 12 years ago. During my time off, I decided to buy one. I fell in love with composing on it. I had grown tired of my own writing results on the guitar, and the Optigan opened up brave new worlds for me. The same goes for my partner in this musical crime, Stewart Lerman. How much of the album was made on toys such as the Optigan compared to “normal” instruments? I think only two songs were written on guitar. The rest came from either the Optigan or an old ’80s Omnichord, which I vastly prefer to the new ones. How did you hook up with Stewart Lerman? I am acquainted with Suzzy Roche (the Roches were a huge early influence for me), and she introduced me to her partner, Stewart Lerman. He loved the Optigan and promptly had two of them (I own three) moved from my apartment to his recording studio, where we began to compose on it. Upon writing our first song together, we resolved to continue. Which we did, sporadically, for the last four years. As you can see—or, rather, hear. Oooh La La is a Crash Test Dummies album in name only. Why did you choose to release it as a CTD record rather than one credited to Brad Roberts & Stewart Lerman? There would be no point in releasing such a record, because no one knows my name! I do own the name Crash Test Dummies, however, and it is at least marketable. And, let’s not forget I made sure to have Ellen sing the backups on the record. Further, when we tour, I will be joined not just by Ellen but also Dan Roberts (in Canada) and even Mitch Dorge (in Winnipeg). 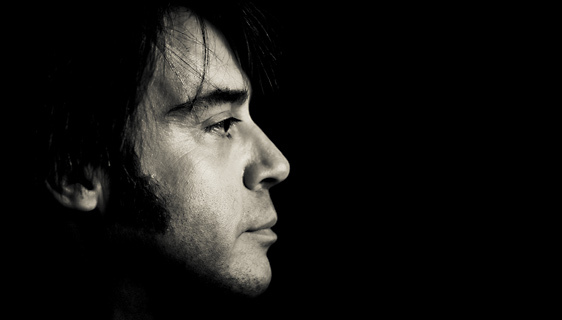 Besides, when I founded the Crash Test Dummies, I chose the people I wanted to play with; I wrote and sang all the songs, fronted the band and did the vast majority of press, as I am now. From that perspective, things haven’t changed much. This album seems much happier than the majority of your past work. Why is that? Because I’m happier is the simple answer. And my last album (2004’s Songs Of The Unforgiven) was deeply pessimistic, so I didn’t want to do the same record all over again. Live, you are playing these songs in a straightforward, stripped-down manner, rather than using toy instruments. How is that coming along? We’ll be doing the songs with an acoustic trio. To try and bring the Optigan, the primary instrument on the record, would be a total nightmare. They are very fragile creatures. And the trio sounds great. Totally different ball of wax. Very intimate and, in that way, more powerful than a fuller band, we’re finding. It’s going to be a sweet set. You wrote on your blog last year that you believe there will be no CDs or record stores by 2015. Do you still think that? Yes. Physical distribution to retail cannot survive the increasing dominion of the digital format. I imagine there will come a time when there are no paper books anymore.